Actor Jesse Eisenberg was recently interviewed by Conan O’Brien and discussed how every year his family enjoys a vegan Thanksgiving they’ve dubbed, “Thanksliving.” Eisenberg, an animal rights supporter and “95% vegetarian,” shared that everyone in his family are also vegetarians and created Thanksliving as a way to honor animals on this special holiday. Thanksliving is much like Thanksgiving, where you focus on what you are thankful for in life, but there’s more emphasis on understanding where our food comes from and appreciating the lives of animals. It’s a term that has definitely been gaining popularity among vegans, vegetarians and others who aspire to not only live a healthy, sustainable lifestyle, but one that they show daily appreciation for the world as a whole. Some organizations like Woodstock Farm Animal Sanctuary and Indraloka Animal Sanctuary even host annual festivals where guests attend a lavish, entirely plant-based meal and raise awareness on animal cruelty issues. The Batman v Superman star went on to explain how his family adopts turkeys through an animal rescue organization and places photos of each one on their table at Thanksliving. The photos act as a symbol of gratitude for the intelligent creatures, instead of having them as the main dish. He added that his sister also reads aloud on what it’s like to be a turkey in a cage before it’s slaughtered. 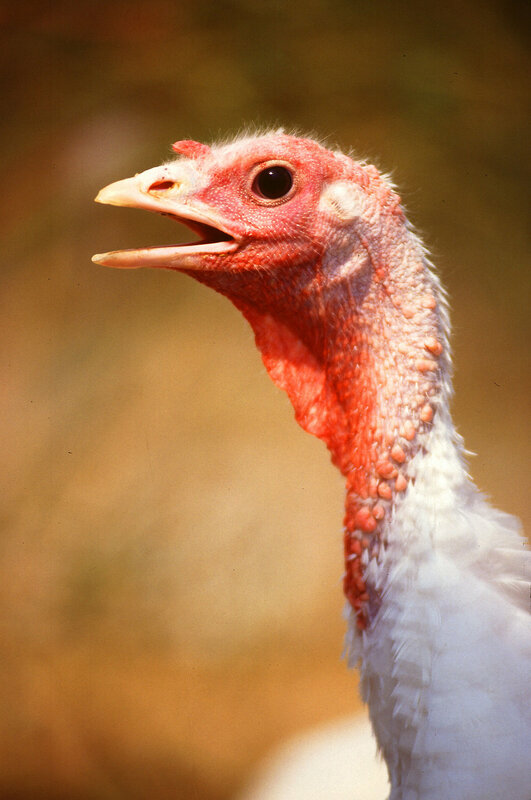 These excerpts serve as a realistic reminder of the estimated 45 million turkeys that undergo horrific conditions and abuse for the sake of being consumed on Thanksgiving. Join the Eisenbergs in Celebrating Thanksliving! With Thanksgiving right around the corner, why not follow the Eisenberg’s example and share an entirely vegan meal with your family and friends this year? You don’t necessarily have to adopt a turkey (although that would be awesome), but it would be a great chance for you to participate in a cruelty-free Thanksgiving, which makes a big difference in the long-run. And when you cook your tofurkey, perhaps you can remember Conan’s witty remark and not mold the tofu into the shape of the bird. He does have a point; it really is defeating the purpose of eating tofu instead of turkey.